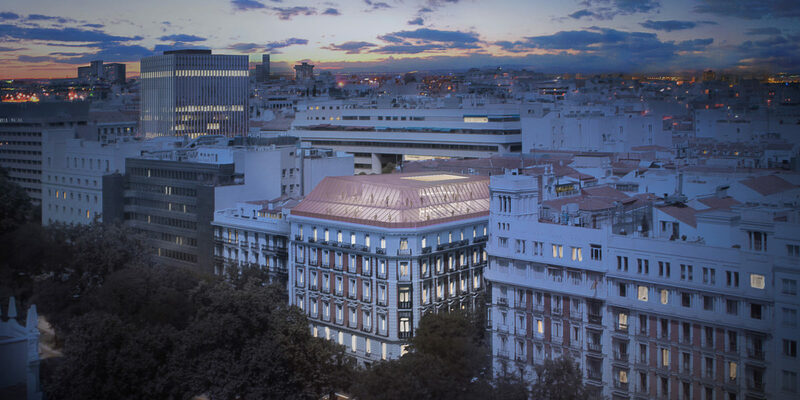 The proposal for the Consorcio de Compensación de Seguros building, located on Paseo de la Castellana, 14 corner with Ayala, 1 in Madrid, focuses on the preservation and restoration of its listed historical elements, as well as on the design of the new interior work areas from the programmatic and environmental points of view. 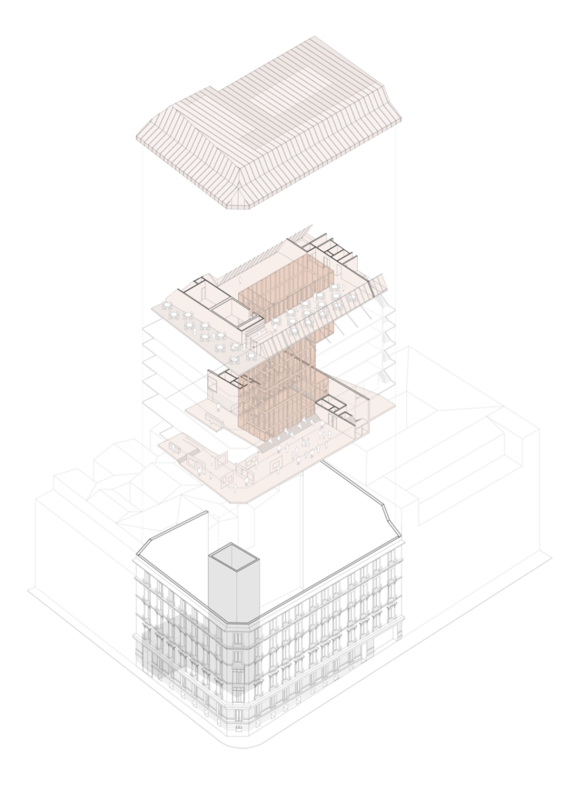 The intervention necessarily involves the conservation of the protected façades, as well as the main staircase and the main lobby with access from Paseo de la Castellana. 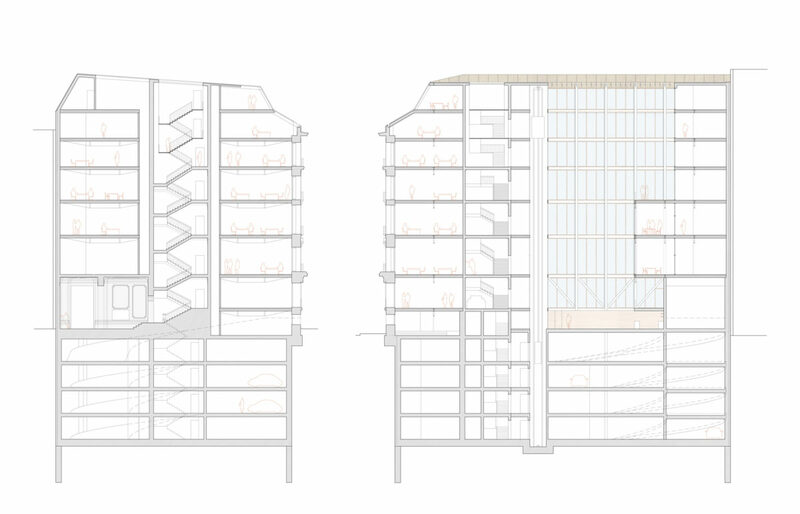 The proposal includes the complete demolition and excavation of four floors below ground level. Likewise, the new proposal increases the buildable floor area by approximately 20% over the current area of ​​the property. 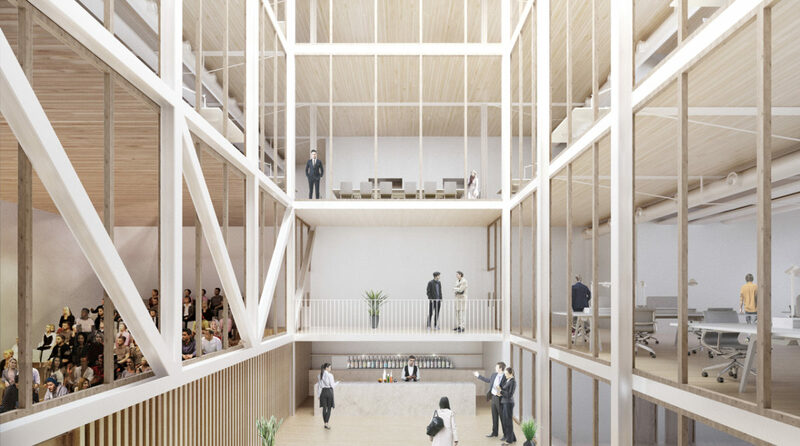 The main idea starts with the location of this main staircase, which becomes the beginning of the central void or main courtyard. 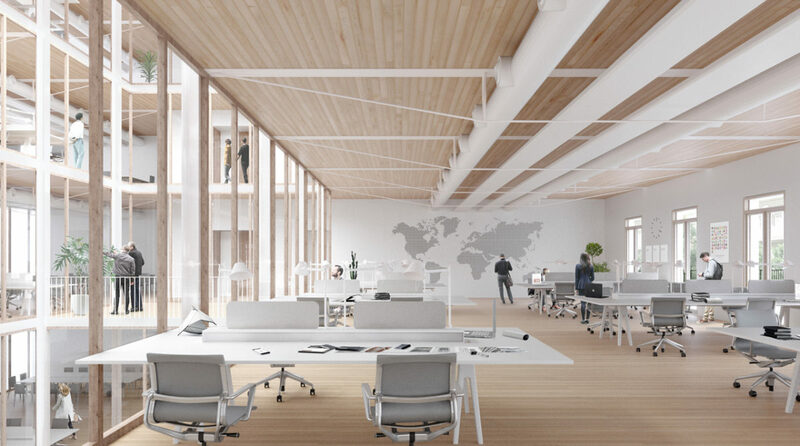 This void ensures adequate lighting and ventilation conditions for all future work areas. 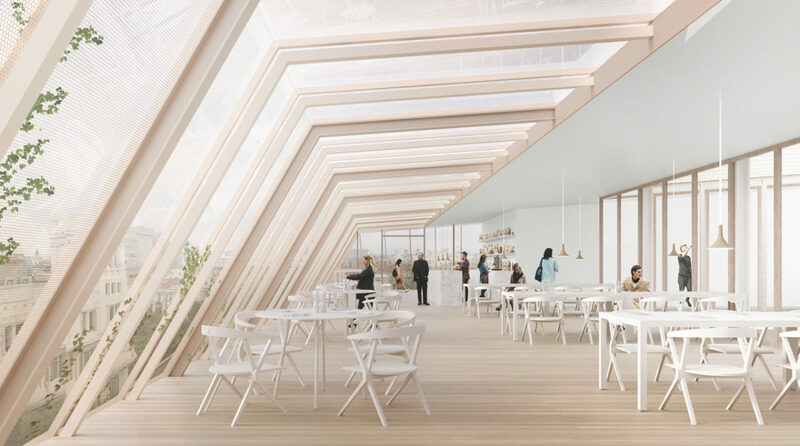 The large polyhedral copper roof, treated as a third façade, becomes an extension of the traditional elements of the façade, through the combination of metal sheet and mesh that at the same time allow the regulation of natural light, and generate terraces and open-air areas enjoying this privileged position.